In a world where health benefits and coverage continue to become more expensive, consumers are starting to get smarter on how they find quality medical services, this includes physical therapy. Today, the best way to save money is by going to a private practice physical therapy clinic, like Ferrell-Whited. How is Physical Therapy More Affordable at a Private Practice? The key factor is that most patients have a high deductible embedded into their healthcare plan that renews on the first of the year. Therefore, the higher cost involved with hospital care combined with high deductibles creates a strong financial hold on the healthcare consumer. Seeing how expensive healthcare has become, patients are becoming more and more cautious of where they go to seek treatment options from an injury. For example, you break your leg and need to go through physical therapy. Looking at your options, you see that to get physical therapy covered by your hospital services, it will cost you a couple thousand dollars out of pocket until you reach your deductible. You simply can’t afford this, especially after all the hospital costs due to initially breaking your leg. Lucky for you, there is a private practice facility nearby that offers all the services and therapy sessions you need to fully recover, without the high deductible and price tag. In addition, if you don’t have health insurance, a private practice can work with you on a financial payment plan that helps you get the care you need when you need it most. Not only is a private practice physical therapy clinic less expensive, the sessions are more personal and quality of care is arguably better. At a private practice, they take the time to get to know you as a person and what therapy method will get the best results. They have better control of the type of services they offer and can offer specific treatment methods that help specific injuries, such as aquatic therapy, needling therapy, cupping therapy, and more. Overall, the quality of care they deliver will only help with reputation and word of mouth, which private practices rely on since they aren’t tied to a major health system. If you live in Northeast Ohio and need help from licensed and trusted physical therapists, Ferrell-Whited can deliver the care you deserve. 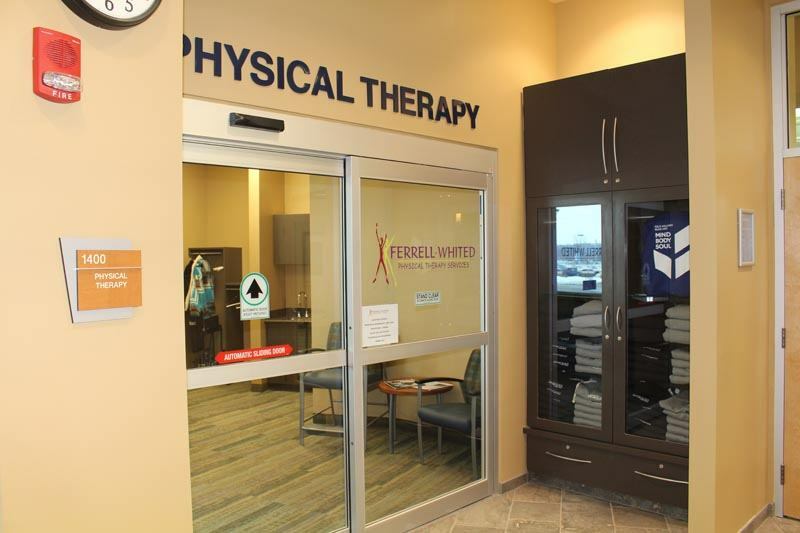 More and more patients are learning that they can get a higher quality of care for a lot less money in a privately owned physical therapy clinic like Ferrell-Whited, and that’s why they have grown in size and patients the past three years. We have many locations throughout the Medina area. If you have a high deductible plan or no health insurance, visit www.ferrellwhited.com and speak to a member of their team for assistance. They offer exceptional PT services that treat a variety of injuries and illnesses and promise to get you back to doing what do well without creating a financial burden.